Giving away freebies that totally fit with the kind of merchandise that a brand is selling is awesome. Customers will see immediately the relation between the products and the free items, and the brand will come out very clever-looking. 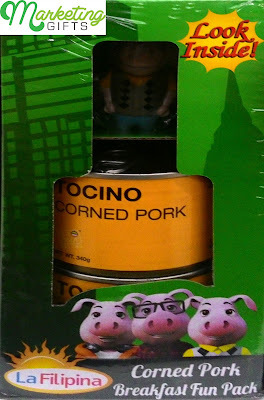 This is what we have realized the moment we have seen this promo idea from La Filipina. 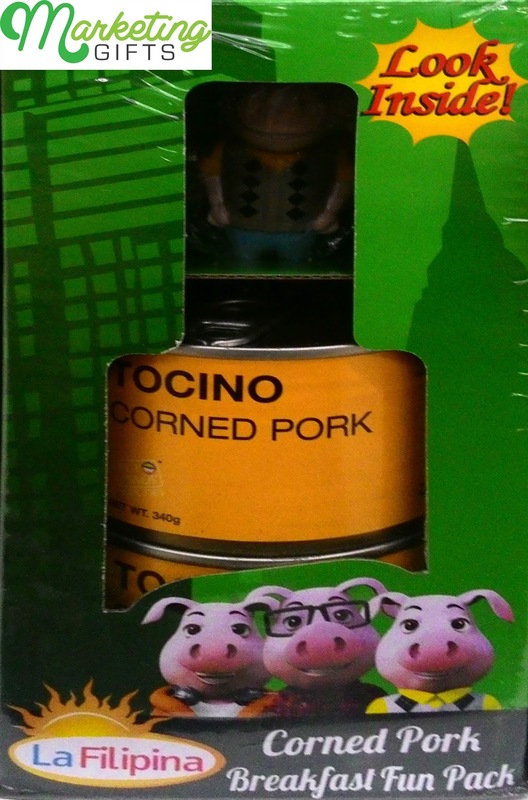 La Filipina is a brand that retails canned goods containing pork, and so it justifies the fact that their on-pack promotion is a pig toy that can either be a collectible or for little kids to play with. Cooler Aura. The free toy coming from this brand gives it a cooler aura, that’s why the kids who come with their elders when doing grocery shopping may automatically go towards it. This will make the brand more popular. Better Profits. The brand still has a lot of rice to sow before it can gain as much customers as what other brands that have been in the industry longer have. However, the gift with purchase toy is a good start towards the right path, and La Filipina can earn better profits from it. Meaning to promote your new business? Visit the Marketing Gifts blog for a wide selection of promotional ideas.